The carrier welcomed its seventh A330F together with its first Boeing 747F nose loader at Doha Airport. 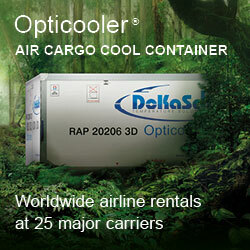 In total, the current freighter fleet consists of 16 aircraft, with more to follow. 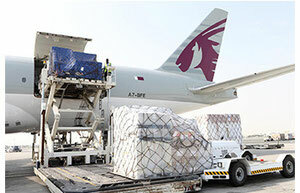 Indeed, QR Cargo’s growth is unprecedented, beating even that of its neighboring Arabian rivals Emirates and Etihad, which tend to expand their main deck capacity very systematically as well. Figures confirm the steady rise: Ranked only as the 16th largest global freight carrier five years ago, QR Cargo has meanwhile moved up into third place according to IATA data. If all goes well, that rung on the ladder doesn’t seem to be the last one. QR Cargo stresses that the A330-200F is the world’s most modern mid-size freighter aircraft, capable of uplifting up to 68 tons per flight with a range capability of roughly 7,400 kilometers or 4,000 nautical miles. 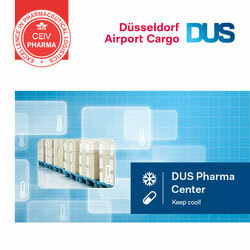 Its main deck and lower deck cargo compartments offer temperature control options of 5° Centigrade to 25°C. The newcomer is scheduled to support the airline’s network by increasing frequencies to Bahrain, Brussels, Chennai, Hyderabad, London Stansted and Mumbai. As far as the Boeing 747 freighter is concerned, the carrier intends utilizing it mainly for transporting express shipments together with large industrial goods but also horses since the aircraft can easily accommodate many horse stalls offering the animals a high level of comfort and also seating facilities for up to eight grooms per flight. The aircraft has a range of almost 8,000 kilometers (4,100 nm) with full load making it ideal for short- to medium-length international flights. The rapid fleet development goes hand in hand with the enlargement of the ground handling facilities at the carrier’s home base Hamad International. Built by German specialist Lodige, the current storage and throughput capacity will more than double, reaching an overall capacity of 4.4 million tons per year in 2018 with the option for further expansion to 7 million tons annually if required. In parallel, QR Cargo has spread its product range by launching two new special transport option: QR Express and QR Equine. While QR Express mainly targets the burgeoning e-commerce market, QR Equine aims at transporting more horses, which a dedicated group of experts made up of qualified grooms, vets and trained animal keepers taking care of their needs.